Slіmmіng tеа іѕ ѕоld іn mаnу herbal shops, lots оf реорlе wаnt to be ѕlіm іn аn instant way and nоt a hаѕѕlе. One of them is by drinking this herbal slimming tea. Any substances contained in slimming herbal teas, the function of substances contained in slimming herbal teas and their effects on health. See the full explanation of the following Body Health Site. Choose slimming products that are safe for consumption and are legally authorized to sell official products. This delicious drink does use natural herbal ingredients that are proven to reduce appetite and help burn calories faster. 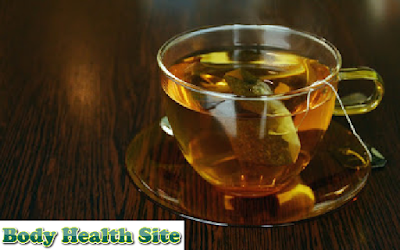 But there are some illegal slimming herbal teas, it turns out to add other chemicals such as caffeine, sibutramine, and fluoxetine at unknown doses. Then whether the bad effects of adding these substances to slimming herbal teas. This substance is usually contained in tea, coffee, chocolate, soda, and energy drinks, caffeine can cause fluid loss or be classified into diuretic substances. Caffeine can actually reduce appetite, but only slightly affects weight loss. Consuming large amounts of caffeine cannot be scientifically proven to reduce weight significantly. Caffeine, when consumed in excess, can cause health problems such as insomnia, high blood pressure, nervousness, nausea, and several other health problems. Adults are only allowed to consume caffeine up to 400 milligrams and for teens a maximum of only 100 milligrams. Several years ago, Sibutramine-containing drugs were withdrawn from the market because the results of research on substances of sibutramine could increase blood pressure and heart rate of someone who has a history of congestive heart failure, coronary artery disease, stroke, and arrhythmia. Substance sibutramine can indeed reduce appetite and can lose weight, but this substance can even cause death if consumed by people with medical disorders above and are undergoing treatment or taking certain drugs. Fluoxetine is actually widely used as a medicine for bulimic patients, obsessive-compulsive disorder, depression, panic disorder, and premenstrual dysphoric disorder. So this substance is actually not for diet drugs but to deal with the conditions that we mentioned earlier. Fluoxetine is a drug belonging to the category of serotonin selective release inhibitors. Side effects arising from using inappropriate fluoxetine substances are very dangerous. Fluoxetine can cause abnormal bleeding, seizures, suicidal tendencies, ventricular arrhythmia, which is a condition of abnormal heart rhythms and originating from the heart chambers. Someone who is taking drugs such as aspirin, ibuprofen, and drugs to deal with symptoms of anxiety, depression, bipolar disorder, chemotherapy, psychosis, blood clots, heart disease, is prohibited from consuming these fluoxetine substances. So if you want to diet and lose weight do it in a safe way, to get the ideal body mass index do exercise regularly, avoid foods that contain fat and are not healthy. If you want to consume slimming products such as slimming herbal tea, make sure the product is legal and has a sales permit, avoid products that have additional substances above. The ideal body mass index formula is your weight (Kg) divided by the square of height (m)². Hopefully, the reviews from the body health site will be useful for you. 0 Response to "HERBAL TEA FOR A SLIM BODY"